A Chemotherapy pharmacy technician assists pharmacists with chemotherapy infusions. 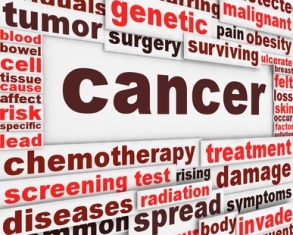 Chemotherapy is a medical treatment involving intravenous drugs that combat cancer cells. Chemotherapy technicians, specially certified pharmacy technicians, are a part of the healthcare team of professionals who care for cancer patients currently undergoing chemotherapy treatments. More importantly, they are often responsible for setting up and cleaning the machines that are used for mixing the chemotherapy medications. Sometimes they also fill out forms or related patient charts with vital pieces of information. It is important to make sure you mix, administer and store the correct dosages of medications carefully. Calculating a math problem incorrectly could mean that someone gets the wrong dosage (either too much or too little) of an vitally important prescribed medication. It is also useful to have a basic knowledge of medical terms and chemotherapy practices if you’re going to be a chemotherapy technician. In order to get the education required to be a pharmacy technician or chemotherapy technician, one can look into a variety of programs at community colleges and medical training facilities alike. Many institutions offer one year long programs exclusively for chemotherapy technicians; however most schools offer the general training course to become a pharmacy technician, and then offer classes that cover chemotherapy training. Also, most hospitals and cancer treatment centers offer on-the-job training for new hires. In order to become a certified chemotherapy technician, individuals must pass a written exam which is administered by either the Pharmacy Technician Certification Board, or by the Institute for the Certification of Pharmacy Technicians. The employment outlook for chemotherapy pharmacy technicians is fairly good, and steadily improving. There is rising demand for individuals in this field due to: an aging population that needs more prescription drugs, the increased prevalence of cancer, and new drug discoveries. There are too many tasks for pharmacists to do alone, which is why pharmacy technicians and chemotherapy technicians alike are necessary to keep things running smoothly.